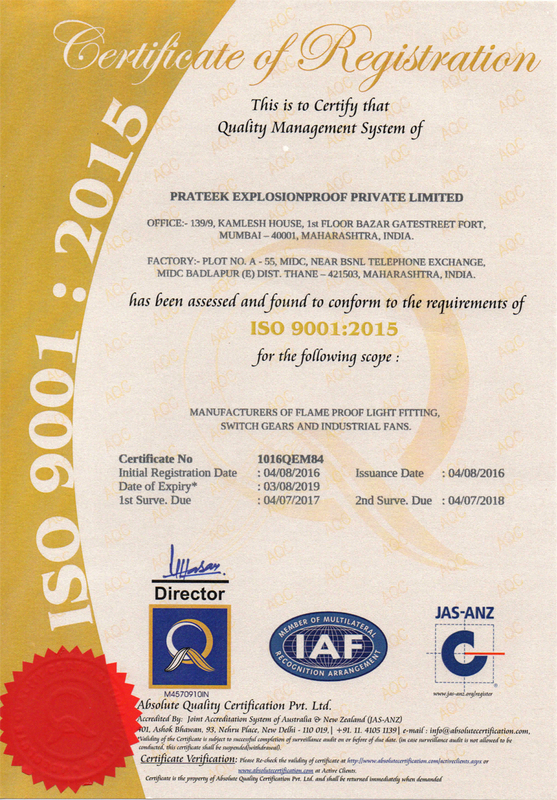 Company Name - Prateek Explosionproof Pvt. Ltd.
- A-55, MIDC, Badlapur, Opp. BSNL Telephone Exchange,Thane-421503, Maharashtra, India.